Okay, I’m a ridiculous foodie. But I believe passionately in food as a Fine Art, which has been practiced by mankind since the dawn of time in parallel to other cultural and artistic traditions. Sometime maybe I’ll blog about Apicus as an example of the high development of ancient culinary traditions. 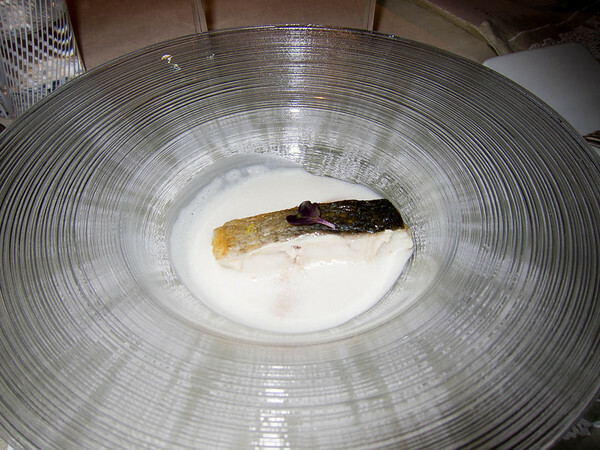 But today is about Calima, a fantastic Molecular Gastro place in Spain that shows off cuisine at its most modern and technical — but also extremely tasty. 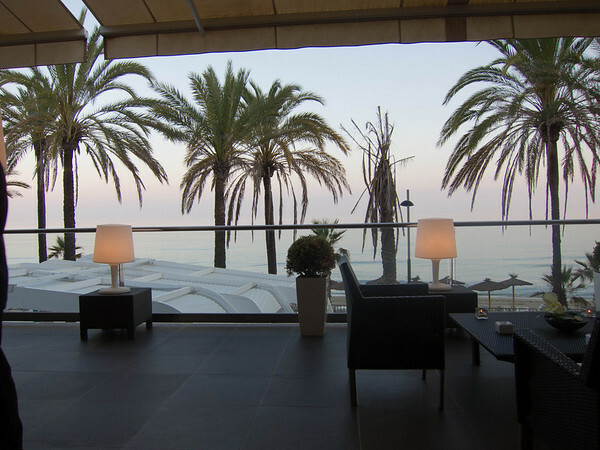 Not too shabby a location, right on the south coast of Spain. If it had been a clear evening we could’ve seen Africa straight ahead. 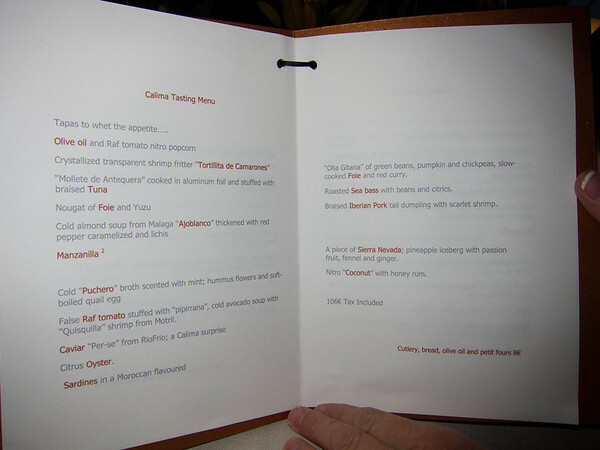 Like many high end restaurants Calima only has fixed menus. Here was ours. 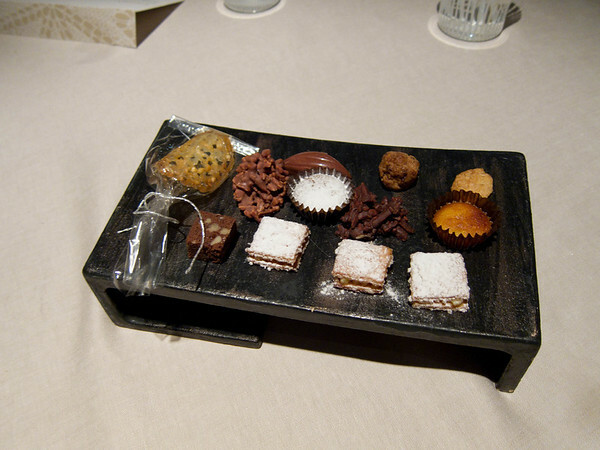 Note that all the dishes below are individual portions. Each person received their own. 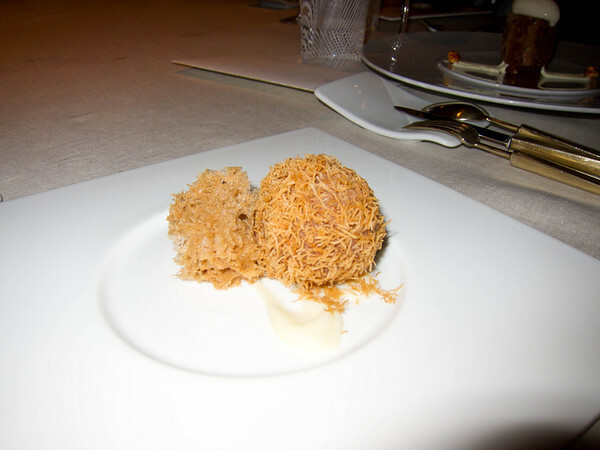 We begin with the series of Amuse-Bouche, small bites to amuse the mouth. The first one came in this neat little container. 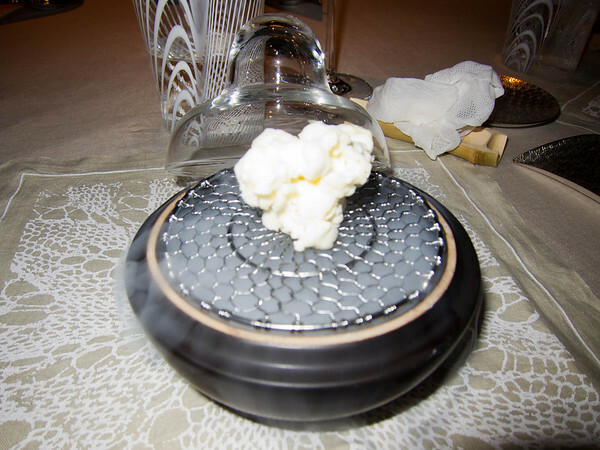 Inside was revealed “Olive oil and Raf tomato nitro popcorn.” More or less pure Spanish olive oil frozen in liquid nitrogen to create this thing that looks like popcorn but tastes like olive oil and tomato. It’s very cold too. 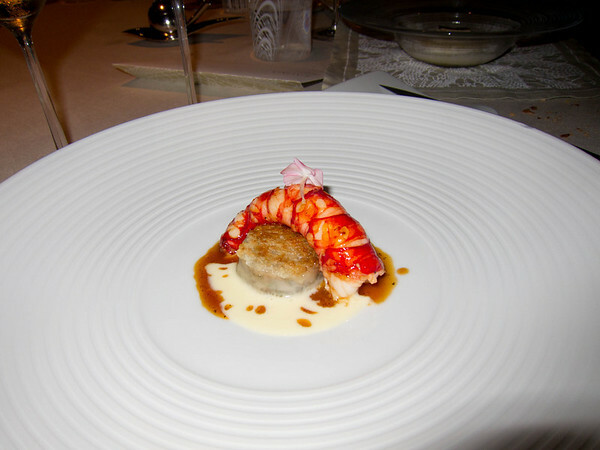 This is a neat example of trends in Avant Garde cuisine where things look like something they aren’t and also have unexpected textures and/or temperatures. It was good — but everything here was great so I won’t keep saying it. 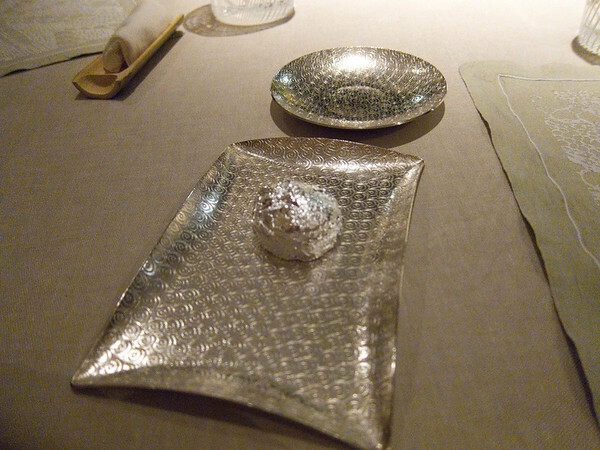 This is “Crystallized transparent shrimp fritter ‘Tortillita de Camarones’.” It had a cellophane consistency and reminded me of certain japanese snacks. Because a truly fine restaurant never half asses anything. 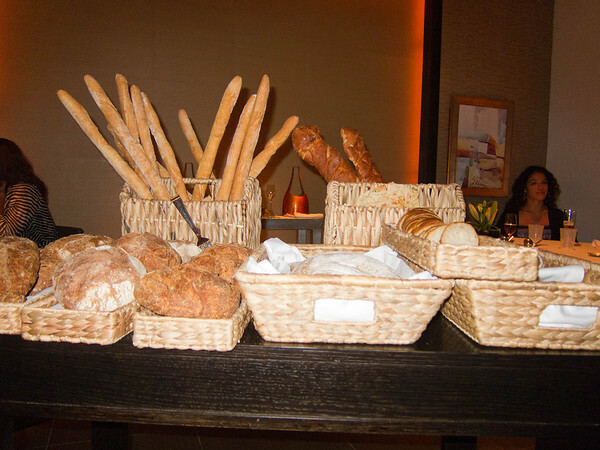 The homemade bread options weren’t anything to snicker at. And there was a second shelf. 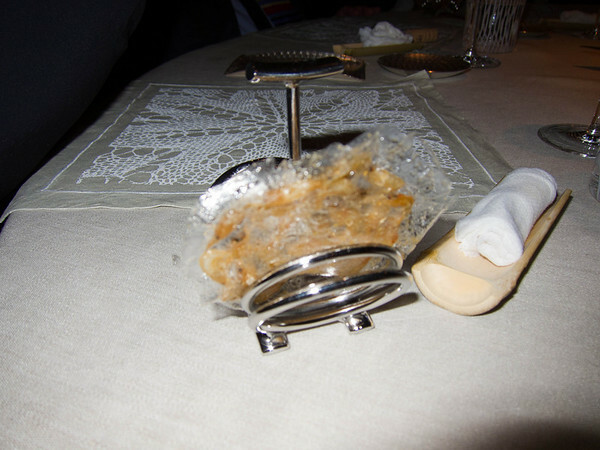 This amuse is “‘Mollete de Antequera’ cooked in aluminum foil and stuffed with braised Tuna.” The foil was edible. This was one of my favorite items. 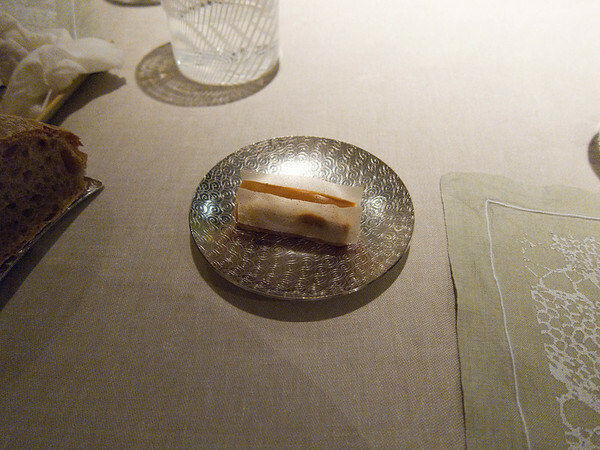 A devine “Nougat of Foie and Yuzu.” I’m pretty sure there was peanut butter in there too, or at least it tasted like it. Both incredibly rich, sweet, and tangy at the same time. 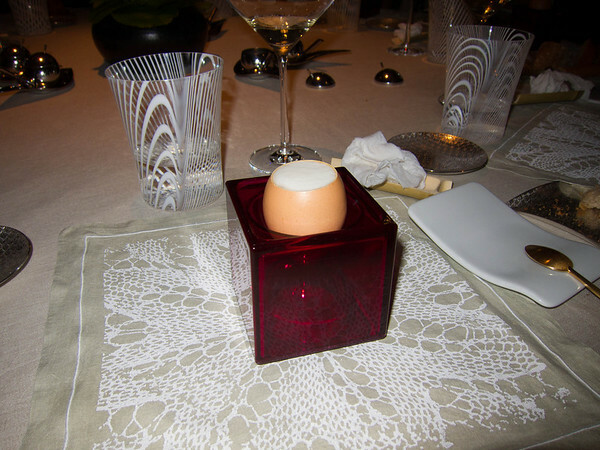 “Cold almond soup from Malaga ‘Ajoblanco’ thickened with red pepper caramelized and lichis” is served inside an egg. 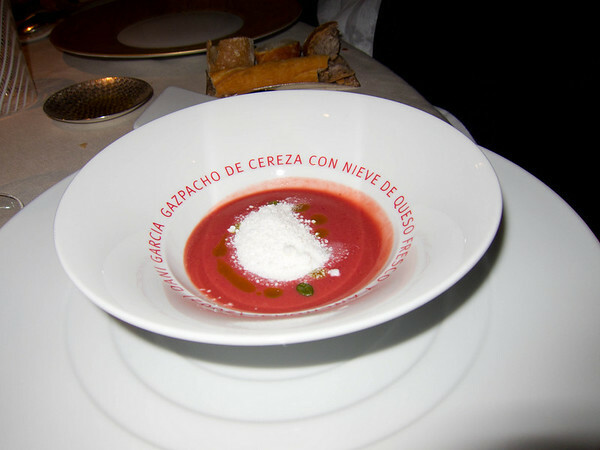 Ajoblanco is a very traditional Spanish soup made from garlic and olive oil, and this is a riff on that note. No fine meal is complete without the wine. We had three. 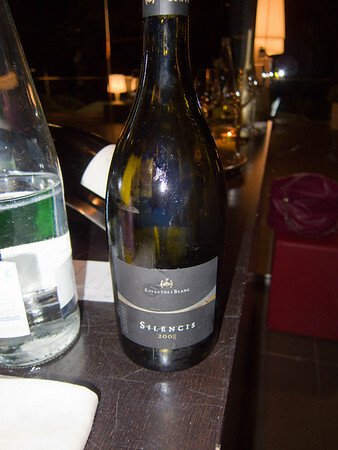 A nice Spanish Cava (Champagne equivalent that I failed to get a picture of) this tasty white and a fine red, below. 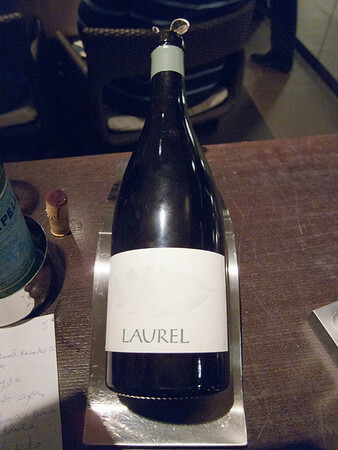 The “Laurel” is worth mentioning as it’s the the “second wine” of one of Spain’s greatest wines, the Priorato “Clos Erasmus.” The “first wine” costs upwards of $700 a bottle, but the Laurel, if you could possibly find it, is often $45-50! This for a 95-96 point wine! Priorato is a fantastic Spanish wine region. We consumed the Cava, at least two whites, and three or more reds. 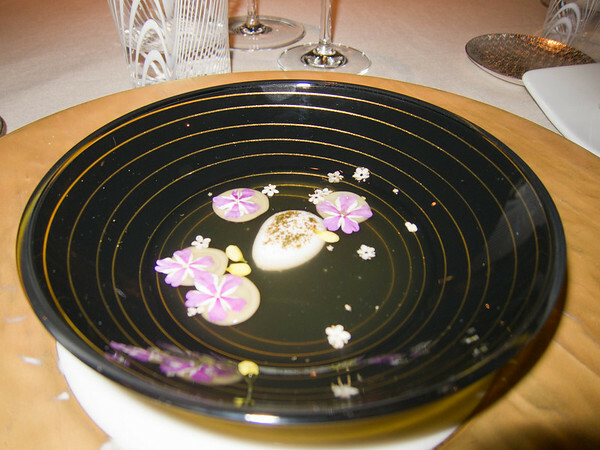 “Cold ‘Puchero’ broth scented with mint; hummus flowers and soft boiled quail egg.” Very Japanese flavor profile to this dish. Light and refreshing. 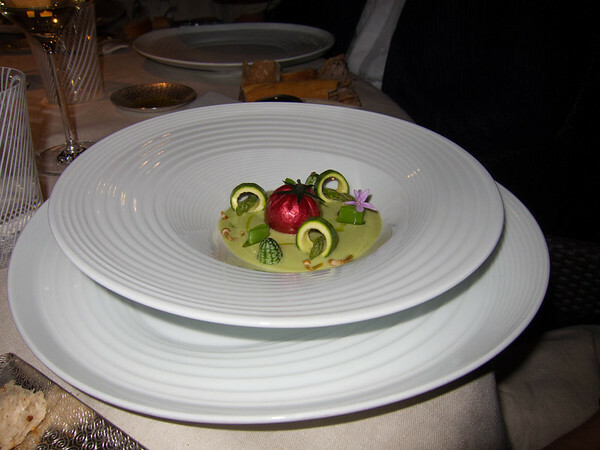 “False Raf tomato stuffed with ‘pipirrana,’ cold avocado soup with ‘Quisquilla’ shrimp from Motril.” This was spectacular. 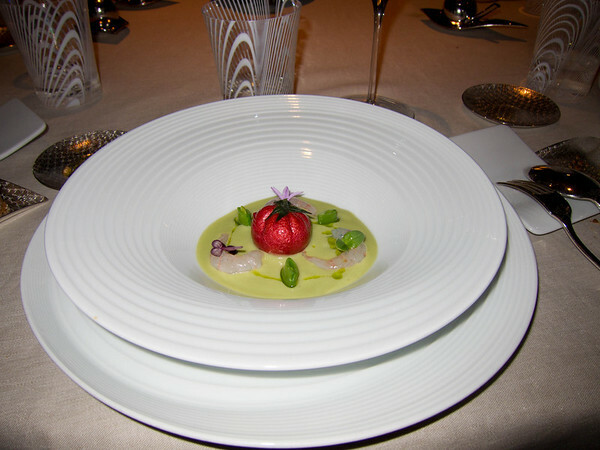 The tomato, which tasted like one, is in fact some kind of reconstructed creation of the chef’s art. It was filled with a type of tomato mouse. To illustrate the flexibility of kitchens at this level, the above is the “vegetarian” version of the False Tomato that they whipped up for one of our vegetarian dinner mates (notice no shrimp). 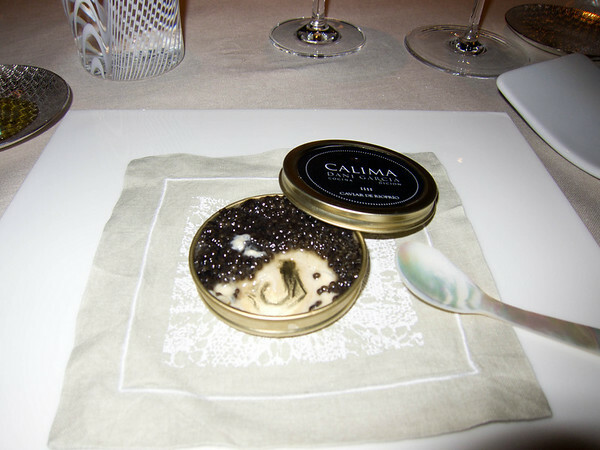 “Caviar ‘Per-se’ from RioFrio; a Calima surprise.” The custard underneath the fine Iranian caviar is vanilla with a bit of oyster juice. 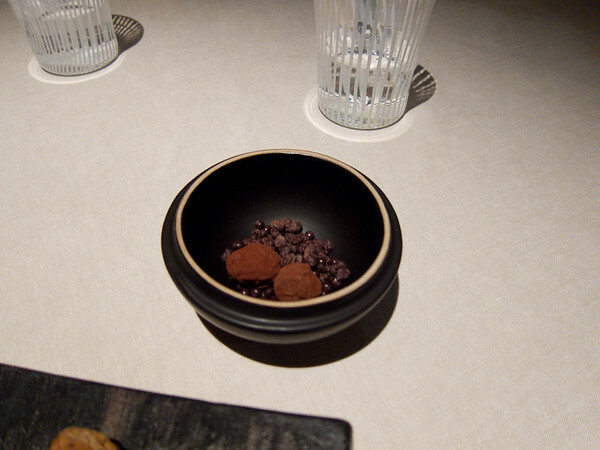 The contrast with the salty roe was fantastic. This wasn’t on the menu, but it came nonetheless. 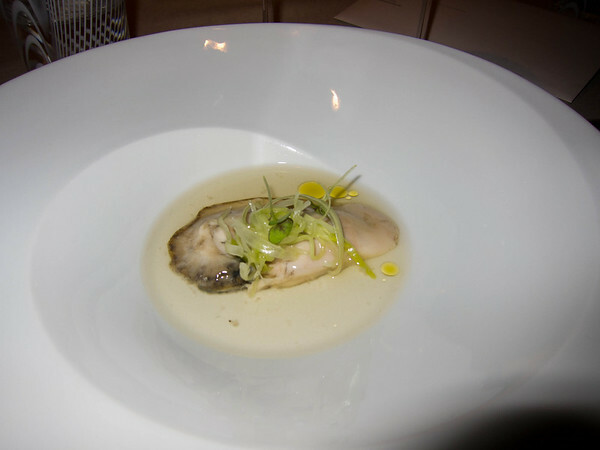 Some kind of mushroom in a custardy broth. 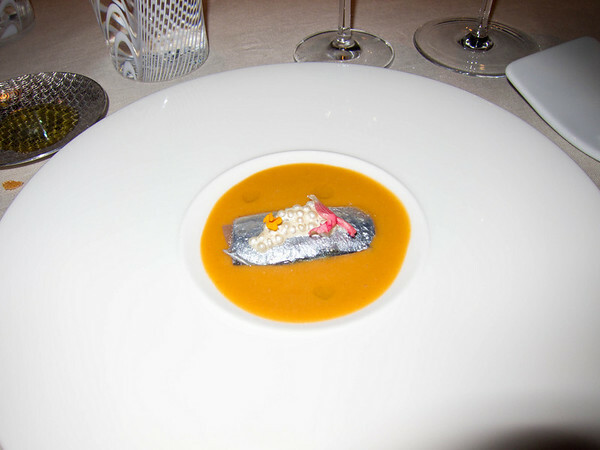 “Sardines in a Moroccan flavored something (the menu cut off the sentence). A rich cut of pork in a fruity sauce that I couldn’t find on the menu, but it came. 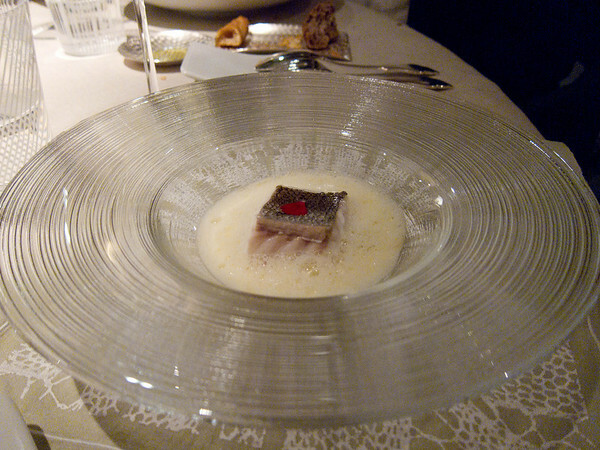 An anonymous fish dish that came instead of the pork for a non meat eater at our table. 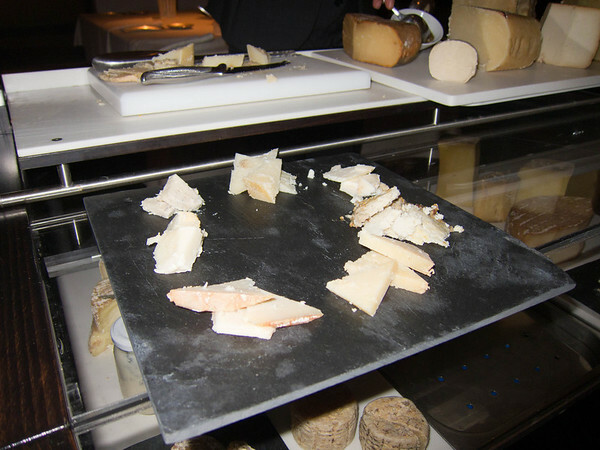 This measly collection of mostly Spanish cheeses confronted us, in both a visual and olfactory wallop. 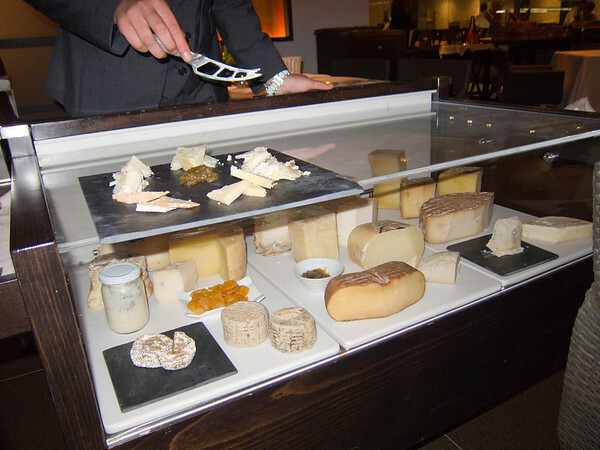 This was the Spanish greatest hits we ended up with for the table, plus a tray of accompaniments. 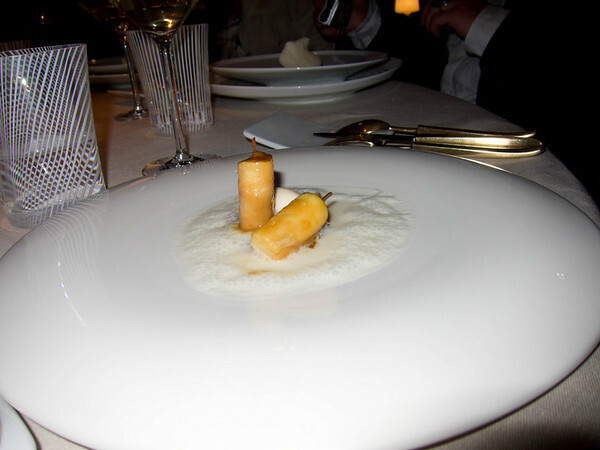 “Caramelized Apple Hearts, acid yogurt, honey and eucalyptus thyme ice-cream.” Sort of a fancy take on Apple Pie al-la-mode. 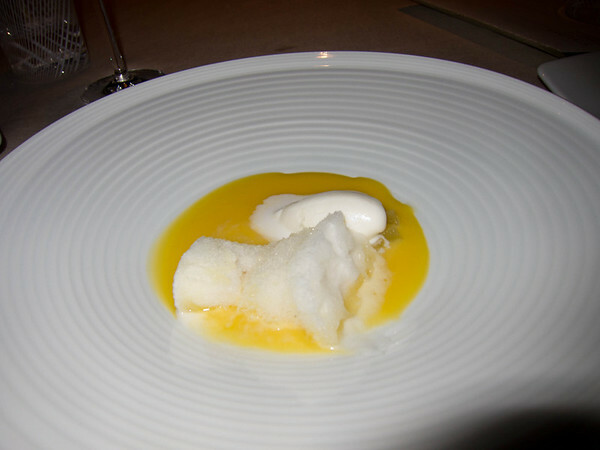 “A piece of Sierra Nevada; pineapple iceberg with passion fruit, fennel and ginger.” This was amazing. “Nitro ‘Coconut’ with honey rum.” Yum. 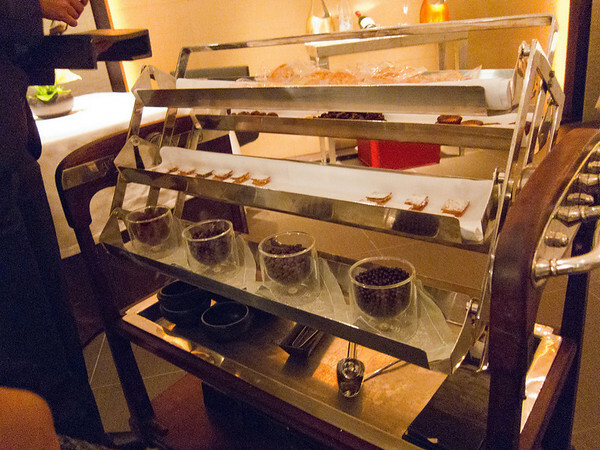 The bonbon cart, because four deserts is just getting started. Each person got one of these. 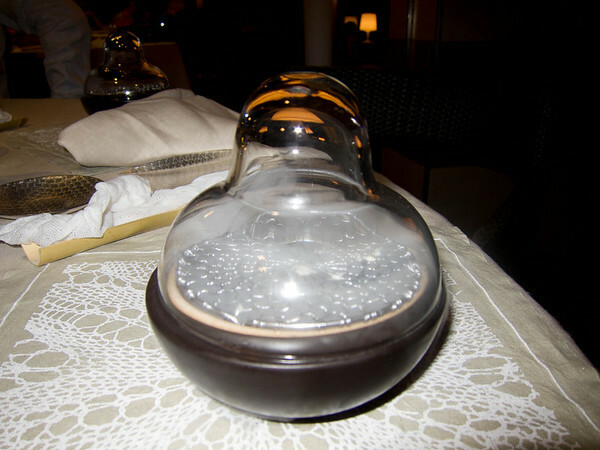 And one of these, which includes nitro frozen berries and chocolate truffles. 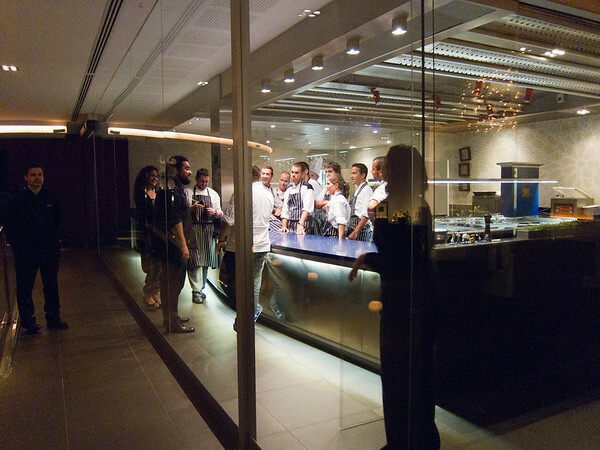 At three in the morning (the meal was 5 and a half hours long) the staff debriefs in the kitchen. This meal was so good we had to come back two weeks later and try it again (mostly different dishes). 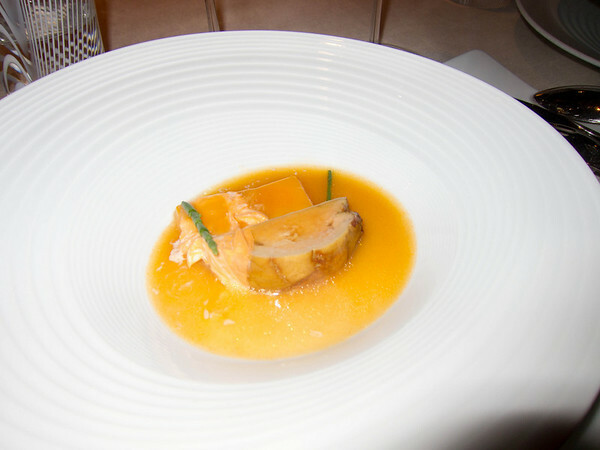 While not priced like “In and Out” this gigantic 25 course extravaganza was no more than you’d spend at a pricey LA sushi place (I’m not talking Urasawa either — I’ll have to post one of my meals there too). In Spain wine prices are very reasonable too. 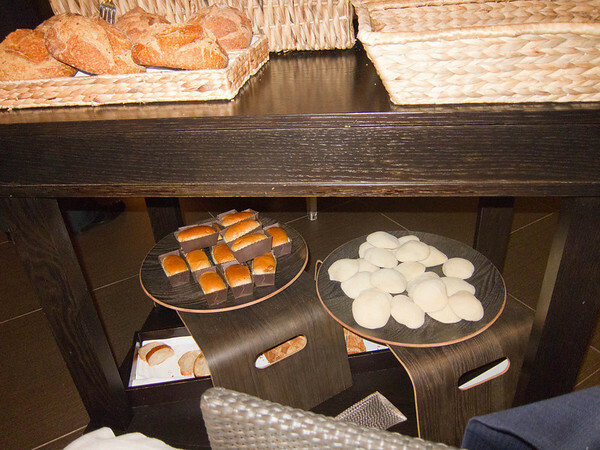 This new form of Spanish cuisine is hard to find in the states. In LA we only have Bazaar, which is very good but not nearly as elaborate. 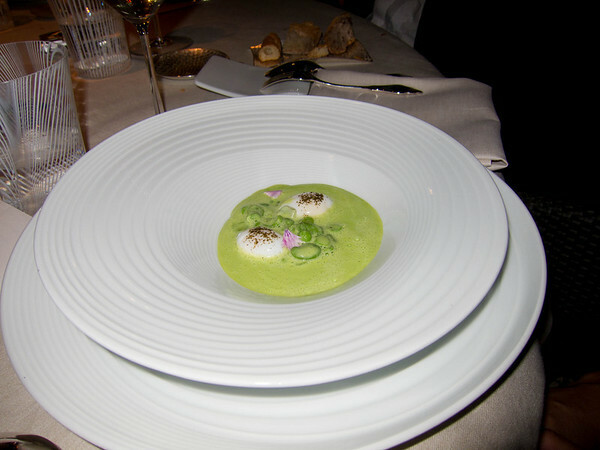 I hope you can appreciate the artistry and effort that goes into these dishes and they tasted as good as they looked. 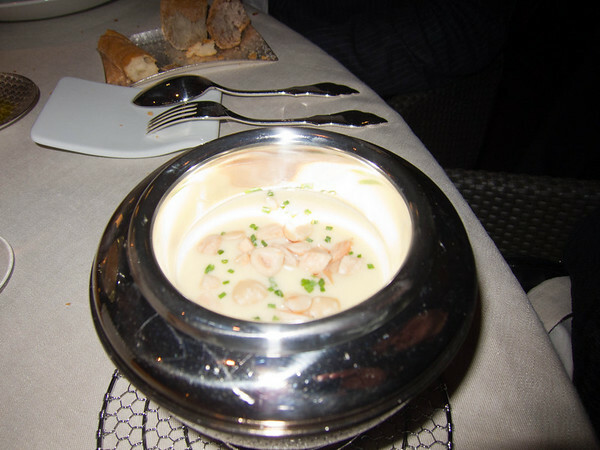 If you are interested in this kind of cuisine, also check out my reviews of La Terraza or The Bazaar. 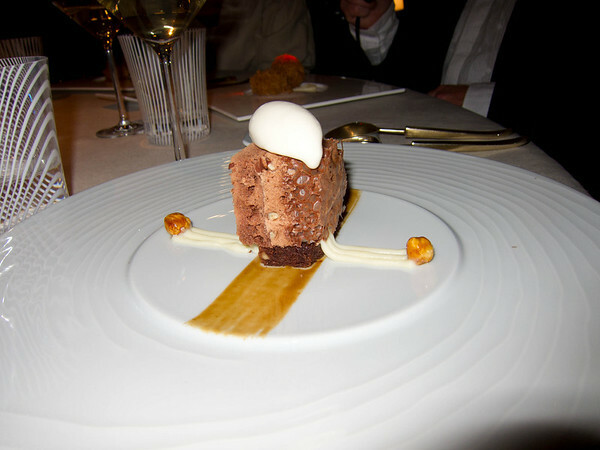 This entry was posted in Food and tagged Amuse-Bouche, Food, Gourmet, Olive oil, Restaurant, reviews, Spain, Wine.